Basil Extract is an erect herbaceous, much branched, softly hairy annual with purple or crimson flowers, Tulsi leaves are nerve tonic, helps to boost the memory power, Tulsi gel has anti-ageing properties. The gel penetrates deeper into the layers of the skin and acts to regenerate the cells. 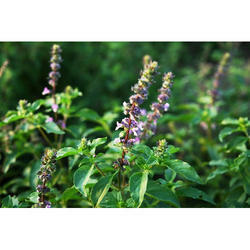 We are involved in offering Tulsi Extract. 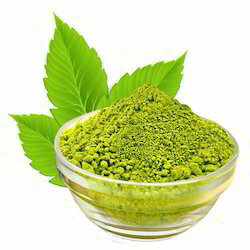 It is longer shelf life, high purity, accurate composition and effective results, the offered extract is massively appreciated among our clients. Being one of the renowned firms in the industry, we are decidedly involved in providing a premium quality array of Tulsi Extract. Tulsi leaves are very good nerve tonic and sharpen memory. They promote the removal of the catarrhal matter and phlegm from the bronchial tube. The leaves strengthen the stomach and induce copious perspiration. The seed of the plant are mucilaginous. The tulsi is an important symbol in the Hindu religious tradition and is worshiped in the morning and evening by Hindus at large. The holy basil is also a herbal remedy for a lot of common ailments. Here're top fifteen medicinal uses of tulsi.